The cycle times are slowing, the performance is decreasing, is it normal wear and tear, or something more sinister? The purpose of industrial maintenance departments is to keep all machinery functioning in a productive and profitable manner. What happens when the decline of performance and productivity is so prevalent that maintenance can no longer keep up with the demands of the machinery component failures? The operations of the plant are mediocre at best. In order to create a sustainable solution for component failures and poor performance, it is key to uncover the root of the problem. Often, maintenance departments do not know where to start when diagnosing failures. They are so busy reacting to problems, there is no time to investigate fully, instead guesses and assumptions are made in order to restore functionality, even if it is limited. Let RelaDyne take the guesswork out of your diagnostic methods! One key diagnostic that can identify the problem is performing an oil analysis. This type of testing is very valuable to discover contaminants that are affecting the performance of the components the oil is within. When an oil analysis is completed, you are given data that can pinpoint root causes for various functional failures throughout machinery components. Information provided includes viscosity, water levels, ISO cleanliness code, particle counts, and acid number. This data uncovers issues like faulty breathers, damaged seals, leaks, and more sources of contamination. 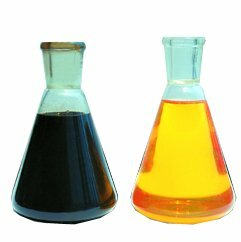 When you find the source of the contamination via the oil analysis test, you can apply an effective solution that will greatly improve performance and productivity. Without this data, you are merely delaying the inevitable; complete system failure. Oil analysis testing should be completed routinely with or without system complications. When performed as a preventative measure, the oil analysis becomes more of a health check up, rather than a dramatic medical intervention of your machine! For information on how RelaDyne can help you take necessary steps to diagnose and fix your machinery problems, contact Doug Muennich via doug.muennich@reladyne.com.